As an Association, MTA NSW provides Members’ with an opportunity to stay ahead of the legislative changes affecting the automotive industry; this is done through regular communications in the form of emails, newsletters, magazines, meetings and scheduled information nights. These types of localised nights are a great way to come along and stay in touch with what's happening in the industry, and giving you a chance to network with your fellow Members. 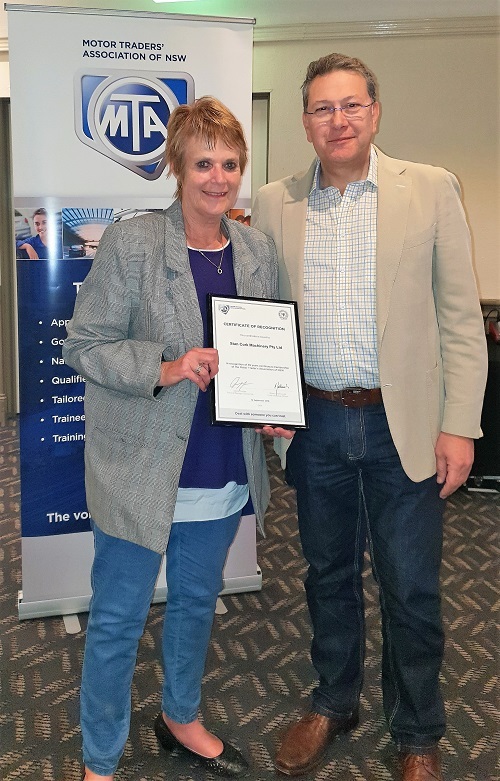 MTA NSW appreciates those Members who took the time to come along to our most recent North Coast events in Lismore, Port Macquarie and Coffs Harbour. By supporting and attending our recent information evenings, our Members were updated with key industry topics. Gary O'Sullivan, MTA NSW Divisional Manager, recently presented at the Coffs Harbour information evening, held on the 18 September and was supported by MTA NSW Area Manager, Miles Todd in attendance. Gary presented an overview on legislative updates and it was an excellent opportunity for Members to raise questions both during, and one-on-one after the events. Senior MTA NSW Management and Members in the audience included CEO, Stavros Yallouridis, General Manager Operations, David Rodger, Divisional Manager, Mark Jackson, MTA NSW Board Member, Mark Beard, and MTA NSW Governing Councillors, Mark Van Ryswick and James Follett. 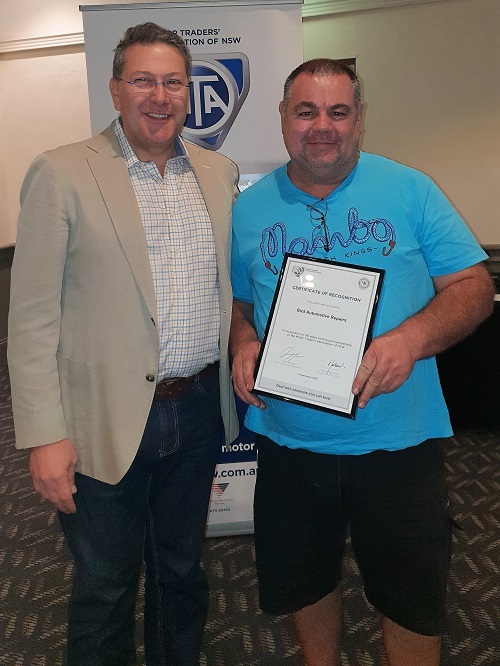 MTA CEO Stavros Yallouridis recognised and presented certificates to three long standing Members, which included; Bird Automotive, K & J Trucks Coffs Harbour and Stan Cork Machinery based in Woolgoolga. Antonette Soliven, Employment Relations Advisor representing the MTA NSW Employment Relations Department, gave an informative 15 minute presentation as did Matthew Webster, Senior Manager Training Policy and Strategy from MTA Training. MTA NSW Business Partner, Capricorn were also in attendance as was SafeWork NSW and both gave a short 15 minute presentation. As one Member has said about the information presented,“…it was spoken in easy to understand terms…”. With the need to keep our Members informed of industry changes, and as a fundamental benefit of belonging to the Association, the next event will be in Tamworth on Tuesday 16th October. Keep a lookout for any announcements and check your email for other future planned dates. These events are a good way to stay engaged with your Association and you will be sure to walk away better informed on how changes are affecting or going to affect your business.